Operational error is a key contributor to incidents in process plants and the single largest reason for unscheduled shutdowns, resulting in several millions of dollars in damages and losses per year. Operators today can be under vast amounts of stress that will have an impact on their responses to abnormal situations. Under normal operating conditions, the operator can apply their training and basic knowledge successfully. Even at the first sign of a fault, the operator is capable of acknowledging the event and responding accordingly. As the situation begins to deteriorate, however, the ability of the operator to respond effectively rapidly deteriorates. When confronted with an abnormal situation, operators are faced with a landslide of information, and often a flood of alarms. It can be difficult to sort through all the noise to get to the right data and make a good decision in a crisis. Inappropriate decisions or failure to respond in adequate time can potentially lead to a production incident or worse still, injury or fatality. To overcome these problems, Yokogawa has introduced Advanced Decision Support (ADS) to assist operators in making the right decisions at times of increased stress such as during the initial stages of operation or during abnormal conditions. The ADS methodology is designed to use best practices to assist operators in semi-structured or unstructured decision-making processes to support operator judgment. Effective alarm management provides a clear view of the operating conditions, eliminating the blind spots that can lead to unnecessary plant downtime. Long experience has shown that alarm design based on the EEMUA#-191 guidelines is the most fundamental way to prevent alarm flooding situations. Yokogawa helps clients implement an EEMUA 191 based alarm system. Control room design needs to take into consideration all aspects of the work environment including operator comfort, ergonomics, safety, ease of communication, functionality, automation of systems, and business policy. Yokogawa helps clients physically consolidate and functionally integrate their control rooms. Industry leaders have recognized that there is a need for a standard around automating procedures and have formed the ISA-106 committee whose purpose is to develop standards, recommended practices, and technical reports on the design and implementation of procedures for automating continuous process operations. Yokogawa has been involved in this standardization effort and has developed a solution offering that address the issues covered in the emerging standard—Modular Procedural Automation. Yokogawa provides a full range of HMI design consulting capabilities to assist understanding of the current situation compared to industry standards (ISA101) and peer performance; combined with our experience to drive improvement within production facilities. Based on our proven performance, knowledge, and experience, we offer consulting services for graphic design of process control system to improve productivity, safety, and the work condition of your plants. Operational error is the single biggest reason for unscheduled shutdowns in process plants, causing several millions of dollars in damages and losses per year. Combine this with an aging skilled workforce leaving the work place, with inexperienced people to replace them, and there is no doubt that process plants face a challenging problem. In a Crisis, Are Machines Better Than Humans? Machines don't panic and they always do what they're told. But they can't think on their feet and can't react to situations for which they have not been programmed. Which do you want to depend on when your life depends on it? 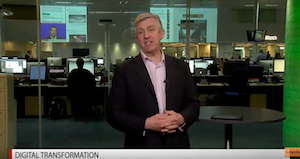 Dr. Maurice Wilkins - executive advisor at Yokogawa speaks with Alastair Greener from the Business Reporter at the Daily Telegraph and shares his thoughts on Process plant operators, automation and how they need to work together in a crisis. 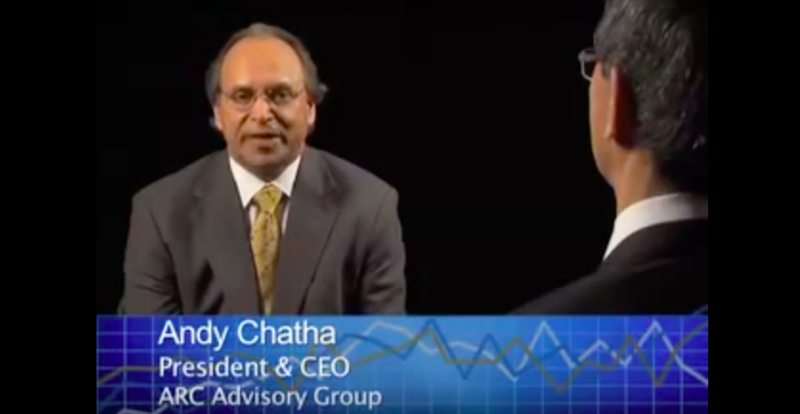 President & CEO of Yokogawa Electric Corporation of Japan, Shu Kaihori, discusses optimizing plant performance with Andy Chatha, President & CEO of ARC Advisory Group. © Copyright 2012-2019 Yokogawa India Ltd.